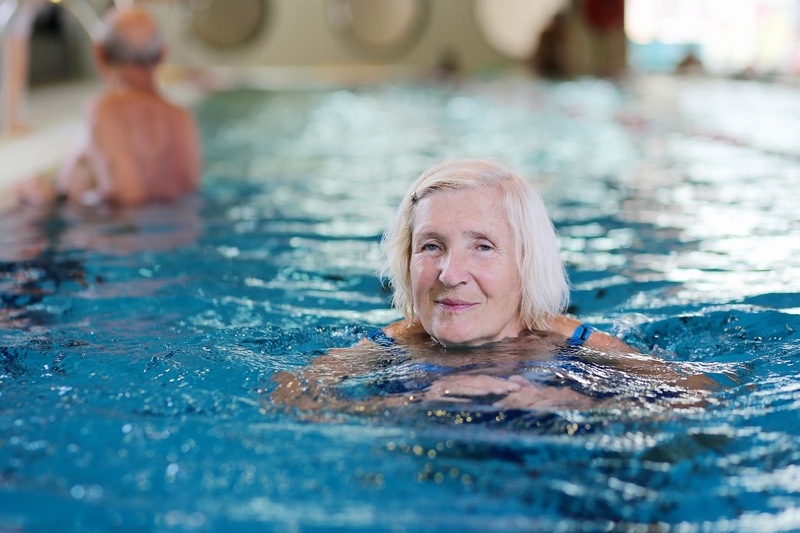 After retirement, it’s important for seniors to remain active and social, to keep their independence, and to be able to maintain their living environment safely. Because seniors are at risk for falls, health issues, and heat exhaustion, it’s imperative to be informed about the best ways to stay active in a way that isn’t harmful. One of the best ways to remain active in senior years is to find something enjoyable and do it with a spouse or friend. Walking, swimming, and light sports such as golf are all great ways to get in a workout and be social at the same time. However, no matter what the activity is, it’s always important to keep precautions in mind. Think about where you will be during the activity, what the temperature will be like, what you’ll wear, and hydration. If you’ll be doing something fairly intensive, such as playing a sport or jogging outdoors, map out a route at a local park or trail and make sure there are places you can sit down and rest. Bring a water bottle to ensure you will be able to stay hydrated, and consider a light snack such as fruit or a granola bar. Keeping up your energy is a must, and replacing any water you’ve lost is key to feeling good while you’re active. Because seniors are more at risk for heat exhaustion than others, it’s also important to wear light, breathable clothing in layers. Hats and sunglasses, sunblock, and bug spray are also considerations depending on where you will be spending time. If you begin to feel dizzy, nauseous, or have cramps, stop what you’re doing immediately and find a cool or shady place to rest. Get a drink and sit for a while, and don’t be afraid to call for help getting home if you don’t feel comfortable driving. Of course, remaining active means you need to think about your home safety situation as well. Seniors are more at risk for falls than the general population because there is a higher risk for circulatory issues, drug interactions, and problems with the nervous system which can all cause dizziness or balance issues. If you suffer from low blood pressure or take medication and experience problems with balance, speak up to your doctor and find out what can be done about it. You can also take measures at home to prevent falls, such as removing clutter from walkways and wearing sturdy shoes at all times. Regular exercise is also helpful, as is having vision checked regularly. Yes, you read that right. Nintendo Wii is a wonderful game system that allows you to play various sports with a wireless controller, meaning you can move around as much as you need to. Double plus bonus: your grandkids can use it when they visit, so you can make exercise a family affair. Staying active and fit is important at any age, but seniors can get maximum benefits from it that include having more energy and making fewer trips to see the doctor. Lisa Gonzalez has had years of experience with volunteering in nursing homes and organizing local senior activities. Realizing that this was her passion is what got her involved with ElderCorps.org, a resource geared towards the care and well-being of the aging population.